If you have salespeople directly reporting to you or if you are in a training capacity, the most important part of your job is coaching and developing the skills of your people. This is a proactive investment of your time to improve your team’s performance in the future. Coaching today produces better results tomorrow. Consistently coaching produces consistently better results and creates those wonderful charts that go up and to the right. So how do you actually coach on calls? One of the weapons I’ve always had in my arsenal leading inside sales teams is the ability to listen to live calls. You can listen live via your phone system’s eavesdrop or call barge functionality or connect your headset to make the calls together. This method allows you to provide direct feedback after each call to improve your rep’s performance. This coaching can immediately be used on the next call. If you are headsetting and sitting next to your rep you get the added benefit of watching their process of making calls to determine if they are efficiently using the defined process to make the most of their calls. If you don’t have a defined process, you should work with your reps to develop one while keeping a feedback loop open to consistently improve the process. During each call, are they capturing the right intelligence and logging data in the CRM that will increase the probability of success on the next call? Some phone systems like Ring.io allow you to develop checklists of questions that the rep fills in during the call so all relevant data is automatically logged as soon as the call ends. This allows the rep to immediately make the next call, significantly increasing their selling time. There are, however, downsides to listening to calls live. Often, you aren’t going to get many live calls if you are working with a rep for an hour. If you are using a phone system that allows you to drop recorded voicemails and your connect rate is 10% then you’ll only be able to hear 2 to 3 conversations if the salesperson makes 20 to 30 phone calls during the hour. Those 2 to 3 conversations won’t give you much to work with as a manager and you won’t get the necessary repetition to really improve their skills. When I do call shadowing with my reps I mainly use the time to improve their process so they can make calls more efficiently. Are they setting themselves up for success by turning off their emails and messaging notifications so they can focus on their calls? Are they calling off of an effective list and managing their tasks properly? Another benefit of inside sales is the ability to record calls. Recording calls is an excellent tool to help you coach on specific parts of the call and hear multiple examples. Recordings also allow you to sit with the rep and hear the call after the fact. They can reflect on what they said vs what they should have said. You should structure these sessions so that the rep can self assess and provide feedback on their own performance. It’s important to create a process where your team learns to self assess, determine what they need to improve, and then practice that improvement. Creating continuous self improvement allows your team to think critically about every call they make and get better on their own. You shouldn’t have to be there to help them improve. Teach them the mindset of how to analyze their calls and they will improve consistently. I like to have every call recording stored in a field on the task in Salesforce. Each call should then be tagged or dispositioned by the salesperson so you know the type and outcome of the call. This way you can run a report to identify specific calls that you want to review in a coaching session. For example, when coaching SDRs you can listen to a series of calls where a decision maker was reached but no meeting was set. When coaching Account Executives you might listen to the needs analysis, product presentation or the close. Try and focus on very specific parts of the call or similar call outcomes so you can analyze the same skill during the call coaching session. This allows you to focus the coaching session on specific calls to determine patterns and areas of opportunity. A technique that I love to use is simply pausing calls after the prospect says something and ask the rep what they should say next. If there is a gap in what they think they should say vs what they actually said on the call this allows them to reflect on the difference and why one option is better. If they don’t know what to say when listening to the recorded call or say something that you don’t think is optimal use this as a coaching opportunity. After each coaching session make sure to document the feedback delivered and the agreed upon actions the salesperson will take to improve. I like to document call feedback directly in Salesforce using a custom object called Call Coaching. 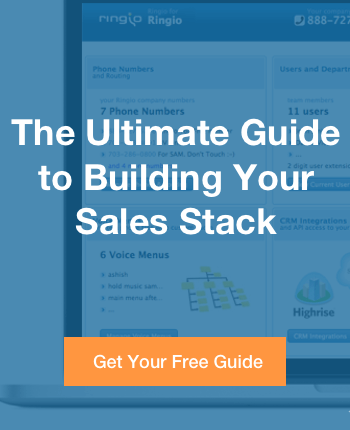 This offers excellent reporting and offers the salesperson easy access to all calls where they were coached so can they review feedback and practice. When you document and provide feedback you can give feedback on a few areas but you should always focus a majority of your coaching efforts on the most important thing a rep should improve. If there are three skills that need improving what is the most important one? Which skill would create the most impact for the org if the rep improved? Focus your feedback and future coaching sessions on this skill. Set follow up times after the coaching session to continue coaching and check for progress. Continue to focus on this skill until you see improvement before working on another. Listening to what your customers actually say is extremely important to understand how your product and message is being perceived in the market. It’s also important to develop very real role play scenarios that if implemented correctly can quickly change behavior. Listening to the calls is just the first step. Now it’s time to develop a plan to improve your team’s performance. When coaching I like to use Rapid Fire Roleplaying to quickly change behavior. This is a coaching session where you focus on improving one skill for a 30 or 60 minute period. During this session focus on the most important skill to improve that you learned from listening to calls. Let’s take two common skills that typically need improvement. Improving these skills will typically increase the number of meetings set and revenue your team can generate. The first is articulating a value prop when you get your prospect on the phone. This value prop typically occurs early in the cold call and is easy to roleplay. Simply, act like a very tough prospect and allow your rep to articulate the value prop. If the value prop is good allow them to continue and secure a meeting. If it’s bad, break the role play, provide feedback and start again. In a 30 minute time period you can get through 10-15 value props to your prospect. This is 7-15x the amount of value props you’d hear shadowing live! I like to do these practice sessions first thing in the morning so your rep can hit the phones right after the session and continue practicing what they learned. This is a great way to get the day started and jump start performance. The second skill that typically needs improvement is objection handling. Give your rep an objection and allow them to attempt a rebuttal. Break the roleplay and provide feedback. Repeat for the time allotted giving various objections that they are likely to encounter. Practice a repeatable method that they can use on all common objections so they are practicing the same method for each objection. By doing focused, repeated practice you can dramatically improve the skill in a short amount of time. 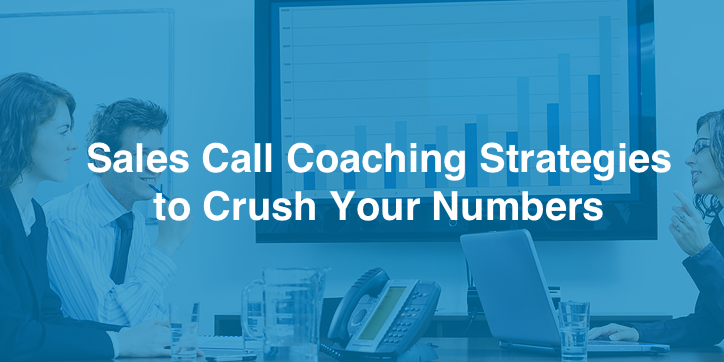 Investing time listening to calls and developing personalized coaching plans is an important time investment for your sales team. By investing time listening to calls and role playing you can consistently improve the performance of your team. Make the time to listen to how your salespeople are communicating and how your customers are reacting to the product or service that you are selling. Many insights will be revealed that you can use to crush your quota.